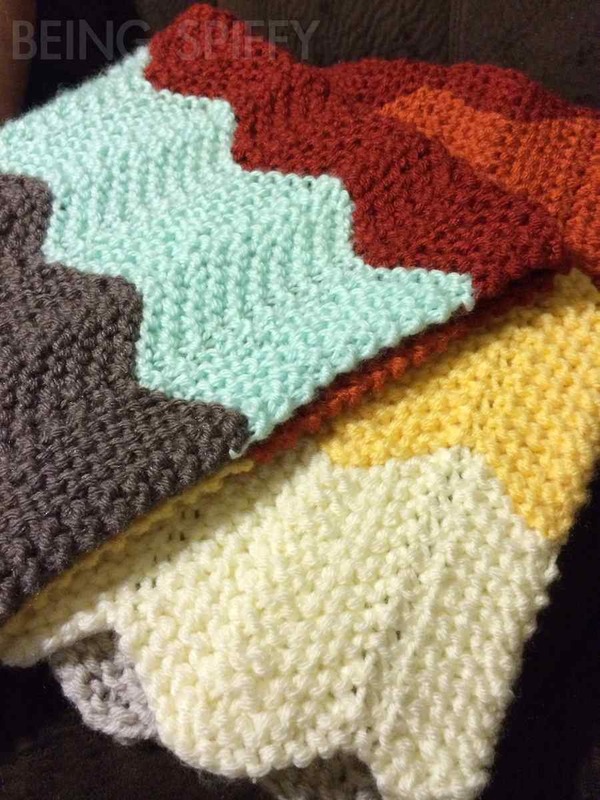 My sweet friend just had a baby and wanted a knit or crocheted chevron blanket to match her nursery bedding. I knew the perfect pattern. Whit's Knits Chevron Baby Blanket from Purl Bee. This blanket is super warm. It's knit on large needles using two strands at once, so it also knits fairly quick. If you can increase and decrease, this blanket will be a breeze. I really like how it turned out. I used Lion Brand Vanna's Choice yarn for all the colors but the mint. It's Bernat Baby . What do you think of this pattern? Does it work or does it remind you of a '70s afghan?